Here is a recent aquisition. 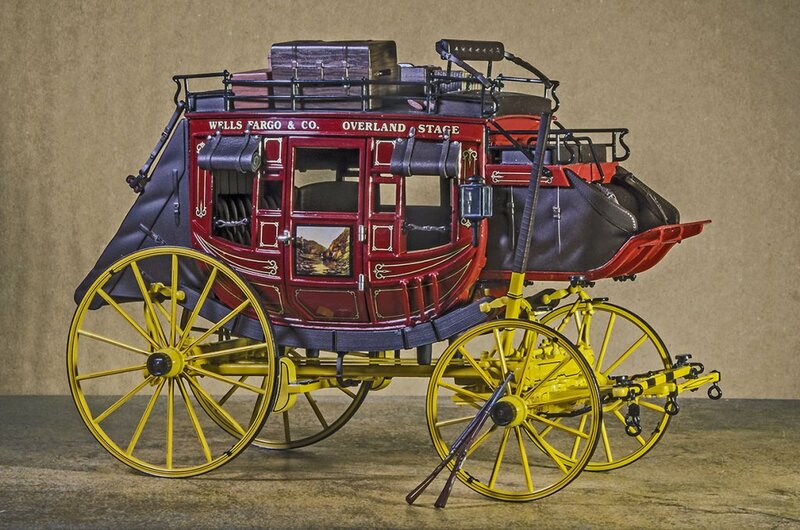 A Wells Fargo Stagecoach. 1/16 scale. Looks like a very detailed and accurate model. Nice capture of it as well! Thanks Jehan. This is one sweet model. Every bit as detailed as the real thing. Even down to the painting of the landscape on the doors.